Frazier Thompson III, better known by his stage name Trae, is an American rapper from Houston, Texas. He is a part of the underground rap collective Screwed Up Click. Trae and Z-Ro, along with Dougie D, are the founding members of the group Guerilla Maab. He is the older brother of Houston rapper Jay'Ton. 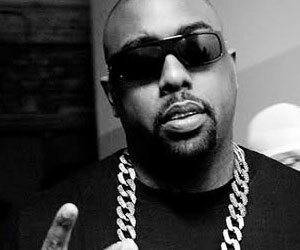 Trae first gained exposure on the Houston rap scene in 1998, when he made his rapping debut with a guest appearance on Z-Ro's album Look What You Did to Me. In 2003, he began his solo career with the album Losing Composure. 2004's Same Thing Different Day, 2006's Restless, and 2007's Life Goes On followed shortly after. Trae has also worked relentlessly with fellow Houston rapper Chamillionaire on his various Mixtape Messiah series. Trae was involved in a scuffle with fellow Texas rapper Mike Jones at the 2008 Ozone Awards. Both later apologized for the incident. It was recently suspected that Trae's music was banned from Houston's local radio Station, 97.9 The Boxx. In 2008, Trae was awarded by the mayor of Houston, Bill White, and Council Member Peter Brown with his own day, Trae Day, in honor of his outstanding work within the community. This is the first time the honor has been extended to a rap artist. Trae Day was celebrated July 22, 2008.